Photographers Simon Annand and Dan Winters photograph the actors at the most intimate moment: when they are alone in their dressing-rooms, getting into the image of a character they are going to play. The last half an hour before going on stage is almost sacred for actors. That's when they close themselves in their dressing-rooms where neither their fans, nor the journalists are allowed. For British photographers Simon Annand and Dan Winters though they made an exception. "Whoever they are and whatever they do during the day, in the evening they have to go on stage and become absolutely other people. The dressing room is the very place where the inner struggle between an actor and his character takes place, and I was always interested in this moment of transformation", explains Annand. An idea to photograph actors during this transformation occurred to him in mid-80s, when he, only a struggling photographer then, worked at the Hammersmith Odeon Theater. Surprisingly, many actors agreed to let him in into their sanctum sanctorum. During his 20-year carrier as an official photographer for the best West End theaters Simon acquired a unique collection: pictures of more than 200 actors. He caught them in tiny dressing-rooms, glamorous Parisian studios and cramped trailers on Hollywood sets. Some were entirely empty and non-descript, some - full of pictures and memorabilia, and various stuff making them alike to the studio of eccentric artist. The heroes of these pictures also behave differently: some were thoughtful and concentrated as Kate Blanchett and Keanu Reeves, some - outgoing and energetic as Martin Sheen, but all of them were absolutely honest. "They trusted me, partly - because during those photo-sessions, which lasted from two minutes to two hours, I looked at them as at ordinary people. Their fame was unimportant for me; I only wanted to depict how they were preparing for their work". 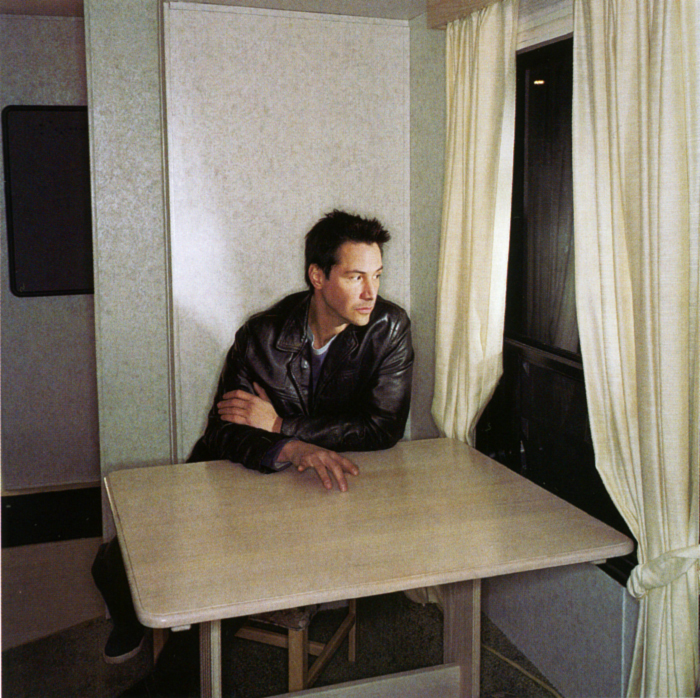 Preparing for the filming of "Hardball", Reeves would huddle in a secluded corner of the set. "To concentrate," - explained the actor, - "I need a free surface and a window to the street. And if I'm not in my trailer I spend most of the time right here."